As one of the 2016 Matthew Lembke Scholarship Recipients, I can’t express the amount of gratitude I have for Corporal Matt Lembke and the legacy he left behind for all of us to follow. Earning this scholarship has not only supported my education, but has also driven me to do my best to carry on the directive that Matt set forth with his character. Honor, Courage, Service to Others, Commitment- these are the traits that we must carry forth. It is my honor to be a recipient and to be able to support such a great event- the Regatta Run. In my first year at Oregon Tech, I have made Dean’s List and President’s List academically, as well as becoming one of the top distance runners in the country. 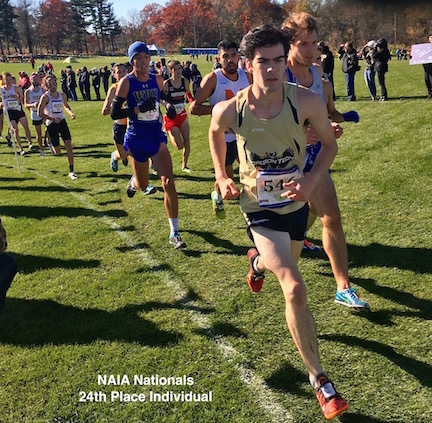 I earned All-American Honors at the NAIA Cross Country National Championship. This summer, I am working as a camp counselor at G.R.E.A.T. Camp, a middle school summer camp that encourages young students to stay away from drugs and gangs. Your generous donation to the Lembke Scholarship Fund is greatly appreciated, any amount helps. We accept credit cards or PayPal donations.